In this tutorial we are going to take a look at how to play the metal tune "Breaking the Law" by Judas Priest. This song includes some great rhythm guitar techniques along with cool effects that are equally heavy and easy to play. We will break down how to play all the parts of the song, as well as how to capture some of the cool production techniques that you hear. At the end we'll play along with the backing track, then you'll jam along on your own! 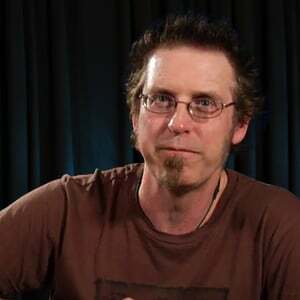 In this tutorial, Eric Barnett will teach you "Whiskey in the Jar", as made famous by Metallica. Eric will introduce the tune and go over gear and tone, then dig into the verse and chorus rhythms before he gets into the 1st chorus, then the bridge. The 2nd and 3rd choruses are next followed by a 3rd guitar part, then we're into the solo rhythm and solo. We'll look at the harmony guitars, the breakdown, and the outro before we do full and 1 guitar play alongs, then we'll do a jam along. In this series of lessons, Lee Wanner will teach you "Cowboys From Hell", by Pantera. Lee will introduce the song, then talk a bit about the gear and tones; then launch into the intro riffing. The we'll look at the chorus, the verse, and the pre-chorus. Next up is the rhythm under the solo, followed by the solo itself. Then Lee will break down the bridge before we do a play along, a single guitar performance, and a jam along. In this song tutorial, Lee Wanner will teach "Heading Out to the Highway", as made famous by Judas Priest. Lee will talk about the song and the gear and tones, then teach the intro riff. The verse, chorus, and bridge parts all follow that; then you'll learn the rhythm under the solo and the harmonized solo. The final verse leads are next, then we'll end with a play along, a single guitar performance, and the jam along. Mike will show you the 2 guitar layers in this song. Guitar 1 uses a distorted, effected tone and plays unison bends, heavy octaves, dropped D power chords, and other textural parts. Guitar 2 uses a clean but still effected tone to play quieter, washed out, chorusey chords and diads. In this series we'll take a look at "Ace of Spades", as made famous by Motorhead. We're going to look at the main riff in this thrashing, driving number, along with some right hand techniques, tuning down a half-step, the solo, and the rhythm parts. Then we'll put it all together in a play-along performance. In this tutorial you will learn a metal classic, "You've Got Another Thing Coming" made famous by Judas Priest. 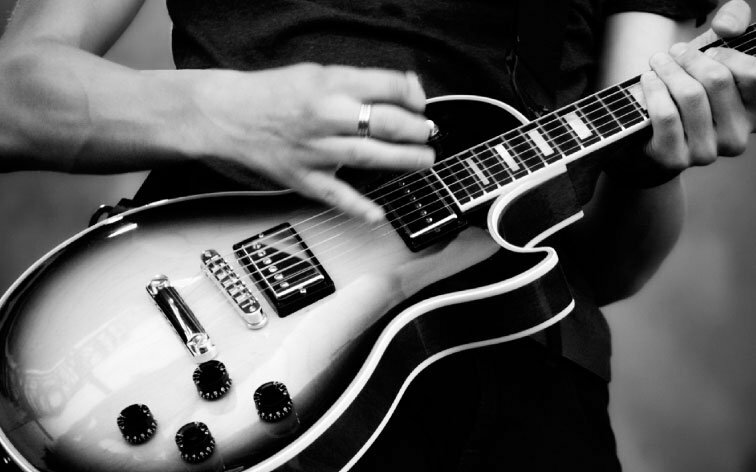 We'll boost your chops with the minor pentatonic scale, hot rod your power chords, kick things up a notch with the riff behind the anthem and the metal rhythms. Then get ready to rock with a full play along! In this tutorial I will teach you "Bat Country", by Avenged Sevenfold. After the introduction, we will take a look at gear and tone before diving into the intro riffs. We will learn all the great riffs that make up the verses and the choruses, as well as the crazy guitar solo and the harmonized guitar duel. In between, a clean/acoustic interlude lets you breathe for a bit. The outro features even more harmonized riffs to keep things new and interesting all the way to the end. In these lessons, Lee Wanner will teach "Electric Eye", made famous by Judas Priest. After the song introduction and gear and tones, Lee will break down the intro riff. Next are the riffs for the verse, pre-chorus, and chorus before we look at the solo rhythm. Then you'll learn the bridge and the song outro; next is the guitar solo in 2 parts. We'll do full and single guitar performances, then you'll take over in the jam along. 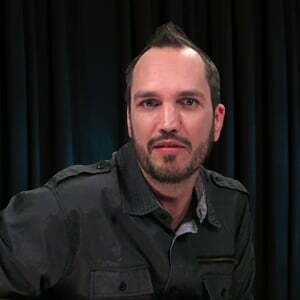 In this tutorial, Mike Olekshy will teach you the heavy metal song "I Stand Alone", as made famous by Godsmack. 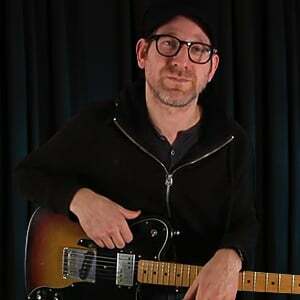 Mike will talk about the gear and tone, then get into the single-note riff that is a centerpiece of the tune. Then we'll look at the verses and chorus, the bridge, the short but sweet solo. To finish off, we'll look at a riff variation, then put it all together in a final play along performance. 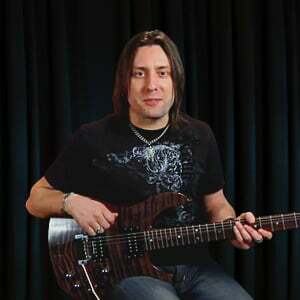 In this metal tutorial, Mike Olekshy will teach you "Last Resort", by Papa Roach. Mike will dive into the gear and tuning, then break down the descending rhythm riff and single-note riff. Then it's on to the chorus in two lessons, followed by the bridge parts. Mike will ten look at the outro of the song before he does a full performance. Lastly, we mute the guitars and you take over to jam. 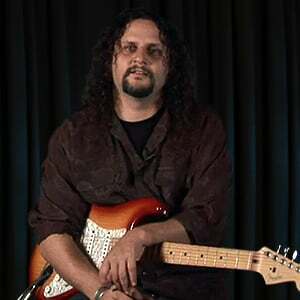 In this series of lessons, Mike Olekshy will teach "Screaming in the Night", by Krokus. Mike will talk about the song and the gear and tones, then teach you the intro parts. We'll look at the verse section next; then the interlude, which will lead us to the chorus riff. The harmonized chorus licks follow, then the bridge. We'll break down the solo before we do full and single guitar performances, then you'll do a jam along. In this metal song tutorial, Lee Wanner will teach you "(Sic)", as made famous by Slipknot. 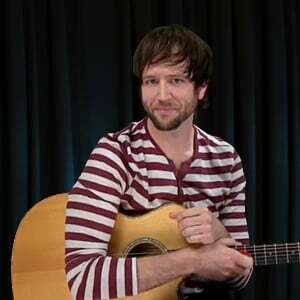 Lee will give you a brief overview of the song, then talk about the dropped B tuning and tones. This song has an atypical structure and is all about rhythm riffs, so Lee will start with the intro riff, then the "pre-verse" riff. We'll follow that up with the verse and "post-verse" riff, then break down the bridge; after which we'll look at the chorus, and the outro riffs. We'll do a play along performance, then you take over in the jam along. In these 20 lessons, Michael Elsner will dig up all the details for the prog rock song "Pull Me Under", recorded and performed by Dream Theater. Michael will talk about the chords you need to know, the three verse variations, the various pre-chorus and chorus elements, the progression under the keyboard solo, the guitar solo, the extra parts in the song, the song outro, then some final thoughts. Then it's time to play it through! In this song tutorial you'll be learning "Walk", as made famous by Pantera. 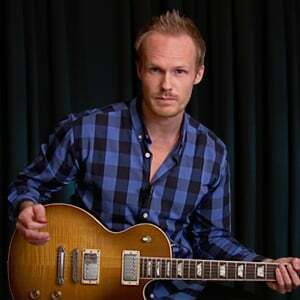 Lee will talk about the tuning and the tone, then teach the intro and chorus riff to the song. Then he'll dive into the verse and pre-chorus, followed by the solo. You'll play along in a final full performance. In these eight lessons, Lee Wanner will be digging into the elements in the song "Laid To Rest", by Lamb Of God. Lee will talk first about the tones and dropped D tuning. Then he'll dissect the verses, choruses, and bridge, consisting of single note lines, chromaticisms, pinch harmonics, and octaves. We'll look at the intro last (as it functions as an interlude), then tie it all up in a final play-along performance. In this metal song tutorial, Lee Wanner will lay out all the parts in "Before I Forget", as made famous by Slipknot. 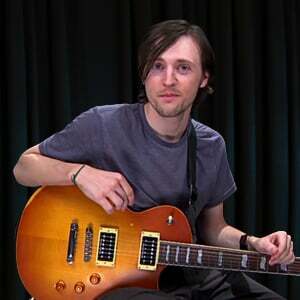 Lee will give an overview and look at the tuning and tones, then teach the intro riff. He'll follow that with the verse part, then the pre-chorus parts. Next in line are the chorus parts, then the guitars in the bridge. To finish, you'll play along through the song with Lee, then take over in the jam along. In this tutorial we are going to take a look at how to play "Unholy Confessions" as made famous by Avenged Sevenfold. This modern metal song features a ton of great rhythm guitar playing along with lots of cool stuff you can play with another guitar player. We'll look at the chord movement, the great rhythm playing and breaks, the use of octaves, and the riffing and licks. The track is a little tricky to play so make sure you are plenty warmed up before you get going, and pay special close attention to some of the cool guitar harmonies that take place.